Accidents involving large commercial trucks typically lead to devastating outcomes. 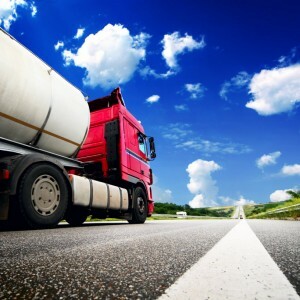 Like automobile accidents, there are many causes of truck accidents involving large commercial trucks — those tractor-trailers, semi-trucks and delivery trucks. On the Kansas City roadways, that includes unsafe driving behaviors, equipment failures, weather conditions and more. Drivers of passenger cars do not always consider or think about how a big rig truck performs on the roadway. They often treat tractor-trailers and semi-trucks the same way as another passenger vehicle, which can be dangerous to their smaller vehicles. Driving in a truck’s “No-Zone.” This refers to blind spot areas behind and beside a commercial truck where the truck driver has limited or zero visibility. Moving to the right of a truck that is making a right turn or making a left turn in front of a truck. Merging improperly into traffic, causing a truck to brake quickly. Unsafe driving behaviors are not limited to passenger vehicle drivers. Any of these factors can lead to unnecessary risks and a truck driver’s inability to react quickly. Overworked or overtired drivers, making them prone to mistakes on the road. Driver error caused by inattention, distraction or substance abuse. Speeding and other bad driving practices. Defective or faulty truck components, such as defective tires. Improperly maintained truck components, such as out-of-service brakes leading to brake failures. Bad weather — rain, snow, ice, fog – can hamper a truck driver’s ability to stop quickly and steer the truck to safety. 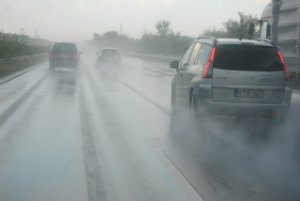 Most weather-related accidents occur because the driver was driving too fast for the road conditions. Overweight or overloaded trucks can result in loads becoming unbalanced. This can cause a truck to topple over. If the cargo is not secured properly, it can also fall off the truck into the lanes of traffic causing accidents. Inadequate training of drivers on driving techniques, safety concerns and defensive driving. Violating the FMCSA Hours of Service regulations by encouraging more hours of consecutive vehicle operation than is allowed. In the Kansas City area, the truck accident attorneys at Nash & Franciskato have the resources needed to fully investigate your truck accident. We gather evidence from things such as the truck’s electronic data recorders, on-board computers and global positioning systems, which help tell the story of how fast the truck was going, patterns of speed, how long the driver has been on the road and more. This information helps determine what caused your accident. In the Kansas City area and across Missouri, when you have been seriously injured in a trucking accident you need a trusted resource who will fight for your rights. Contact the experienced truck accident attorneys at Nash & Franciskato for a free, no-obligation evaluation of your case.